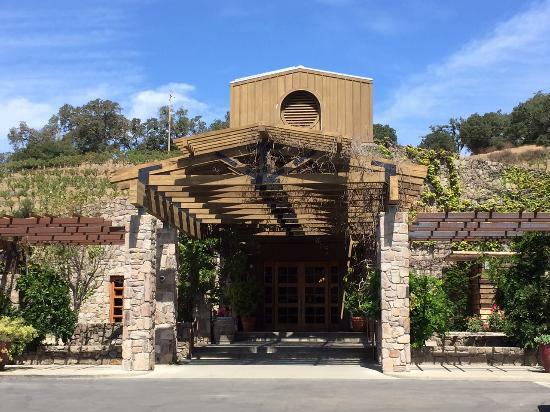 Robert Sinskey is one of several wineries on Silverado Trail that California Girl and I have driven past many times. 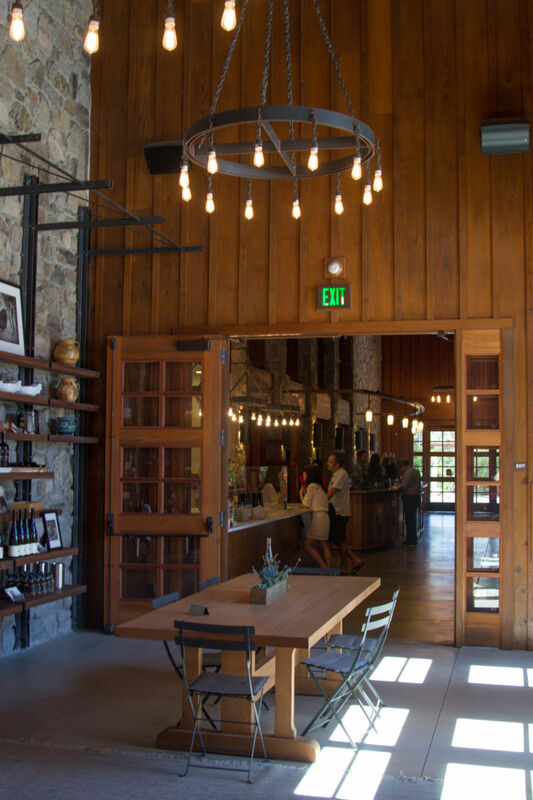 On a recent visit to Napa Valley we broke that habit and visited Robert Sinskey. No matter how good the quality of wine, a disinterested host will have a negative impact on the tasting. Our host, Caroline, brought a level of enthusiasm and knowledge that elevated the tasting into the realms of truly memorable. I was also impressed with the generous pours. 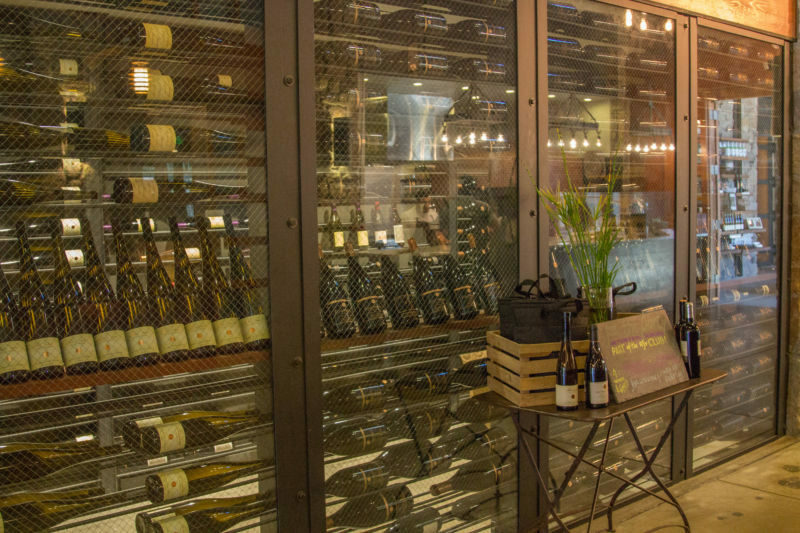 The tasting is $45, which appears at first glance, to be on the high-side, but includes a set of small bites intended to showcase the wines. 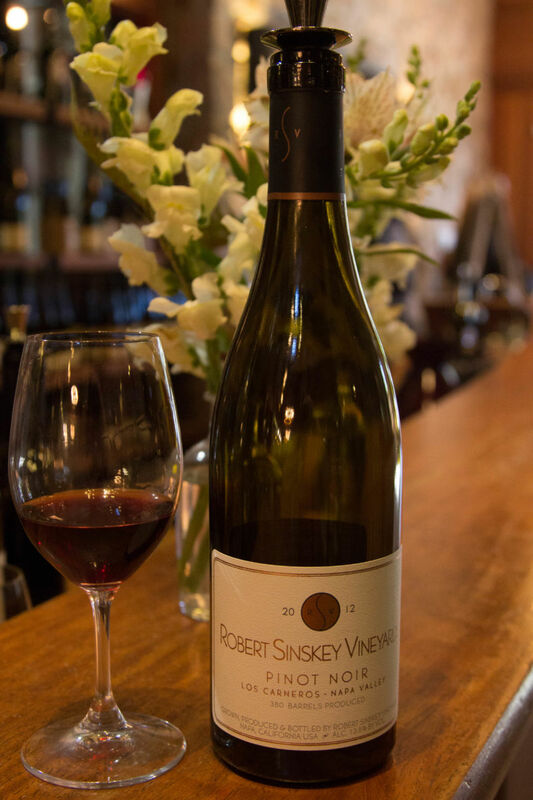 Robert Sinskey Vineyards are certified Organic. Whilst they follow Biodynamic practices, they are no longer certified. 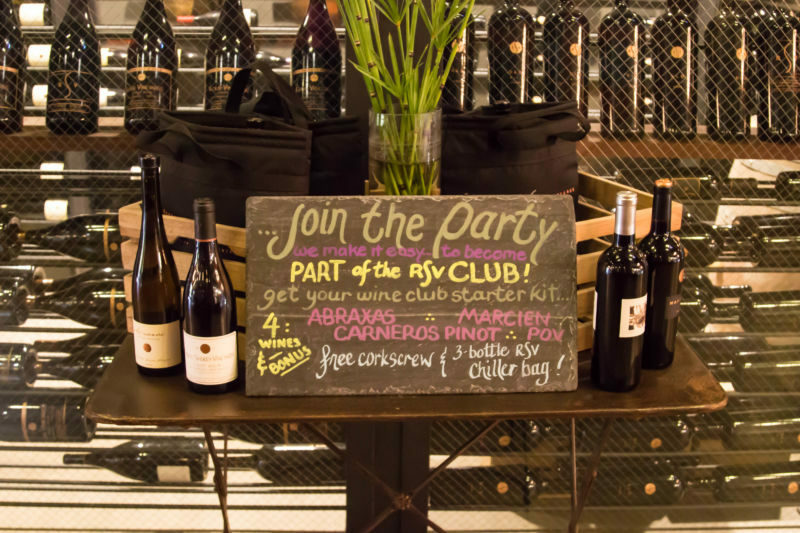 The first wine was a white wine blend called Abraxas; a blend of Riesling, Pinot Gris, and Gewürztraminer. We tasted the 2013 vintage which sells for $36. There was a rich, enticing nose of peach and citrus. This sip had a low to medium acidity and tasted of peach, honey, with a backbone of minerality. It is worth noting that, unlike all too many tasting rooms, this white wine was not chilled to the point that nose and taste are suppressed. It was a further reminder for me to move past negative connotations of German grapes acquired in my youth. This was a complex, refreshing wine, that will work well with strongly flavoured fish or just as a drink to savour in its own right. The second wine was Orgia, a wine that is made as a Rosé. I use that particular phrasing as the wine was more of an orange hue than the pink one associates with Rosé wines. It is made from Pinot Gris, with some of the skins put back in as it ferments. This retails for $45 and we were served the 2014 vintage. The nose offered pear and citrus. Sipping it, I tasted honey and lemon with a medium acidity. Whilst this would be a refreshing summer drink I found it lacked the complexity and character of the Abraxas. The next wine was the 2012 Carneros Pinot Noir which is priced at $38. They make 380 barrels of this wine. It had a colour that I would describe as brownish-red. Smelling it, I experienced plum and pine cones. It had medium plus acidity. The taste was of plums and mixed berries, with a lingering sweet spiciness that gave a great mouth feel. The nuts and crackers that came with the small-bites complemented this wine to a tee. The fourth wine was a red blend called PoV and was modeled after Right-Bank Bordeaux wines. It mixes Merlot, Cabernet Sauvignon, and Cabernet Franc. This was the 2012 vintage which sells for $40. Its colour was a very dark red, almost inky blank in hue. The nose was strong and luxuriant; one that I savoured and delayed tasting to fully revel in its aroma. Mixed berries vied with black cherries in this wonderful aroma. It tasted of soft, ripe fruits. Still fairly young, the tannins were prominent, but not overwhelming. The finish was well-balanced and left plums and raspberries to linger in the mouth. At the price this is an excellent wine for those who like Merlot heavy French style wines. Next up and last on the tasting menu was the 2011 Merlot, with fruit sourced from Carneros and Napa Valley. It sells for $47. The colour was a purplish red. I found aromas of mixed berries, pepper, and ripe raspberries. The quality of the nose, especially in light of how great the PoV tasted, promised great things. There was a complexity on the palate that gives the lie to the myth that Merlot is bland. A mix of plum, raspberry, pepper, and well moderated tannins made this a good wine, but unlike PoV, the taste did not match the nose. Caroline offered me one final taste from a bottle not on the list. Her selection was in response to my reaction to PoV. This too was a blend of Merlot, Cabernet Sauvignon, and Cabernet Franc; the 2011 Marcien Proprietary Red. The nose was a wonderful rich plum and pepper, with a supporting cast of other fruit. As much as I had luxuriated in the aromas of the previous two wines, this one was even more overwhelming. Unlike the Merlot, sipping it did not undermine the joy of the initial impressions. There was an immediate impact of deep, rich plum flavours, balanced by a mid-palate of earthy-notes from the tannin, and finally a lingering mix of plum and blackberry. As good as the PoV had been, this was better. The only downside, is that it costs $100 a bottle. Recommendations: For a summer white to sip or pair with fish, buy the Robert Sinskey Abraxas. If you want a rich red that is drinkable now, but will likely age for several more years, buy the PoV. Looking for a rich friend asks you which wine to buy for you as a present, ask for Marcien. Spot on! 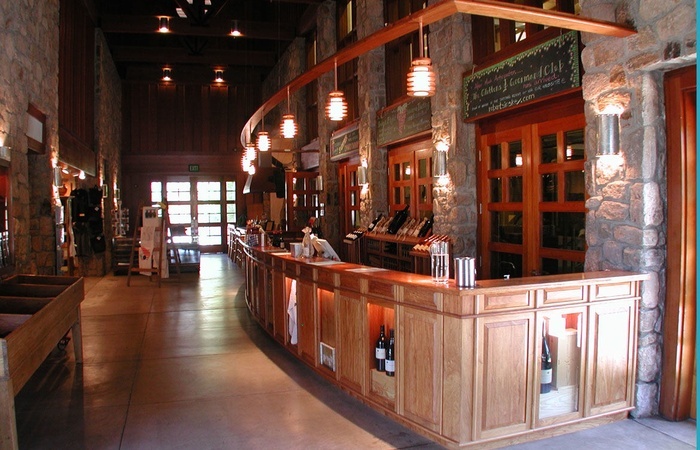 We love Sinskey – we were there Saturday night for their monthly party for wine club members to pick up their shipment. Everyone there is cool.